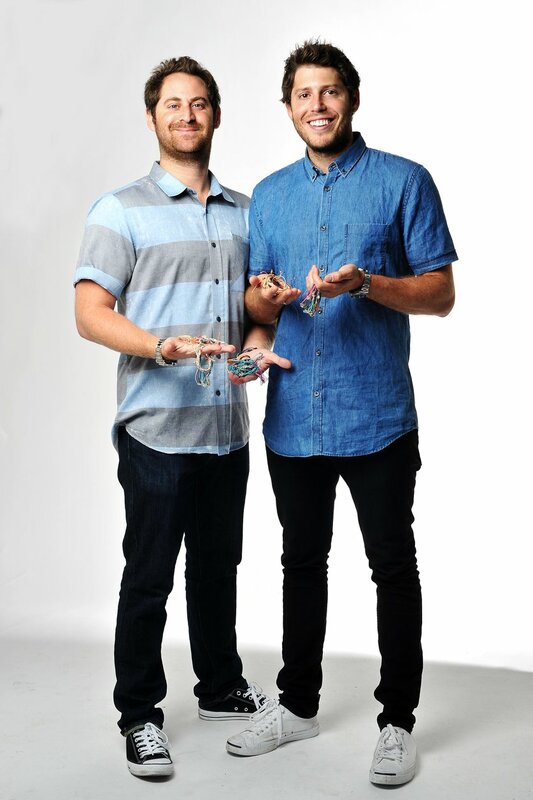 Sitting in an oceanfront office in La Jolla, California are Griffin Thall and Pual Goodman – co-owners and founders of Pura Vida Bracelets. What started as a five-week graduation trip to Costa Rica ended up turning into a million-dollar business venture. 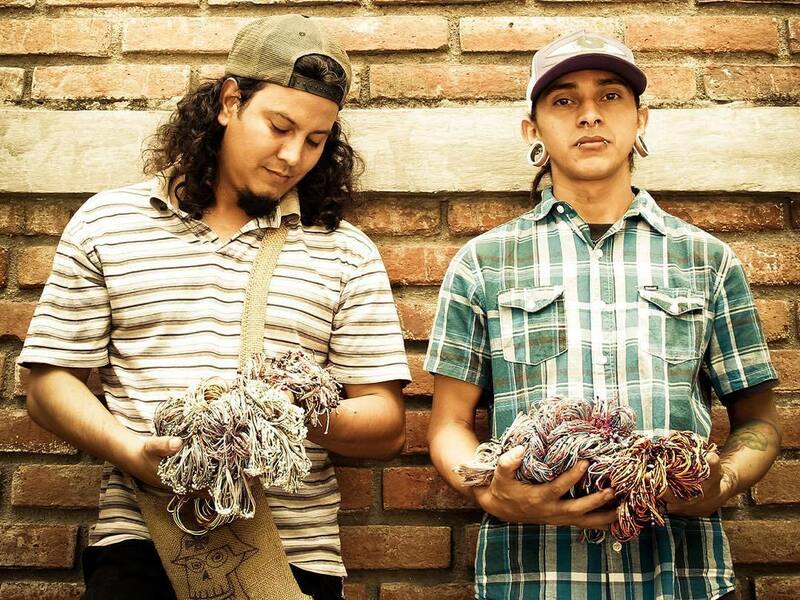 During their trip, they came across Jorge and Joaquin, two homeless bracelet artisans whose craft seemed to spark an interest in Goodman and Thall. They both liked the message that the bracelets embodied, so they asked Jorge and Joaquin to make 400 bracelets for them to bring back to the United States. 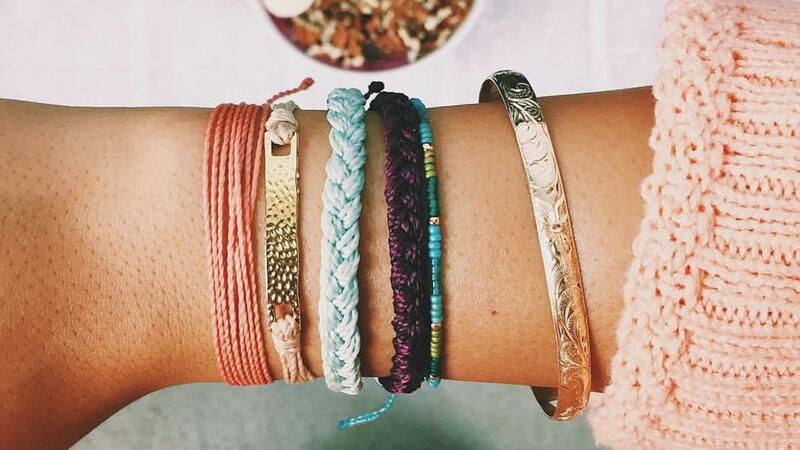 They sold out in a matter of days, and the bracelets spread like wildfire across the country. Today, they have donated over $666,721 to date and have provided jobs for over 100 Costa Ricans. Thall sat down to give us an inside look into the world of Pura Vida, and to talk about their incredible journey over the years. Q: How has social entrepreneurship shaped Pura Vida? GT: I would say it’s like the main part of our business. I mean, everything we do for the brand, you know, is like giving back to the artisans in Costa Rica; giving back to the different charities. I think people are attracted to our brand because they know that we’re doing good, and I think that’s what separates us a lot from like other brands that just sell a product, you know? I think a lot of Millennials definitely say so what do you guys do with these clothes, or what do you guys do with these glasses or bracelets. I think when you can answer that and say, “Oh, we do this; we provide these; we donate here,” it kind of adds a different dynamic to the brand. 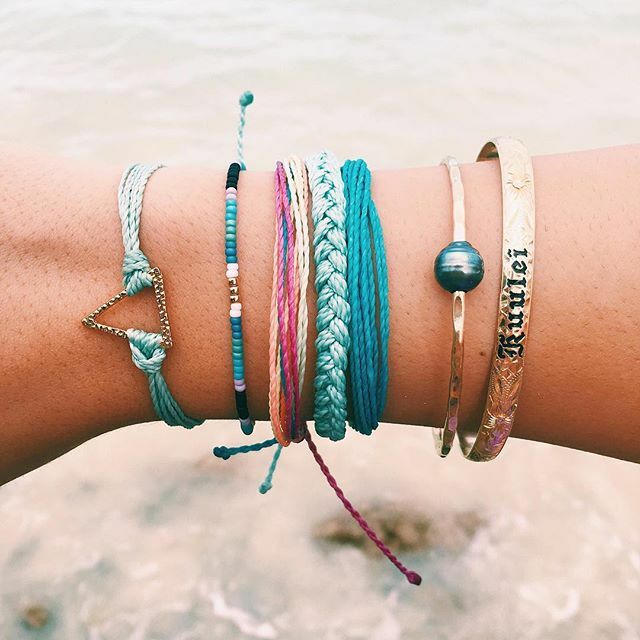 Q: You guys do a lot of charity work, can you tell us a little bit about the impact that all of these organizations have on Pura Vida? GT: Yeah, I mean, every quarter we send out like quarterly charity; we have our quarterly charity updates, and when we do that we send out checks to all of our partners. We have about 165 different partners that people can support, which is really cool, so I mean out of those 165, there’s like 200 different bracelets you could buy. Some have multiple styles; the charities have requested different types of looks and stuff. We’ve seen them do a ton of different things, from buying school supplies to providing electricity. They’ve sent us letters and photos – it was pretty cool. 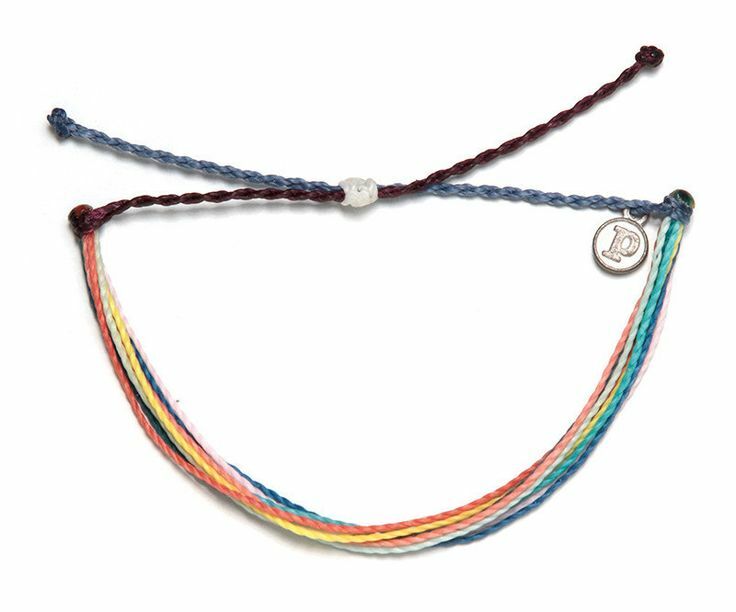 Q: Apart from the charities that you help, you also have a brand ambassador program where people can come and build their own bracelets. How do you get that partnership started? GT: It’s just with the organizations, and so it’s less of a corporate feel and more of a, "Hey, we should make bracelets for our sorority or we should make bracelets for our softball team," and that has been really successful. We get anywhere between 10-20 signups a day from people that want to use Pura Vida to fund raise for their cause, and then we get about 50-100 reps that sign up a day that want to bring Pura Vida to their school. So we have a student ambassador program of about 10,000 members and when we do posts on Instagram we get about 3,000-4,000 signups within a day. Every student gets a sticker, five bracelets, a rep code and they get approval to make their own Instagram account for Pura Vida. Q: How does it feel to know that you’ve changed Jorge’s and Joaquin’s life and that you’ve given them a home? GT: It’s awesome. We pay them really well, and we send them a lot of money every month and it goes toward the cost of the bracelets and their expenses, and their lifestyle and it feels really good. These guys were homeless before we met them; they were probably going to skip town and make bracelets somewhere else and go lay on the beach and do whatever. If you guys ever go to Costa Rica, you’ll notice that the streets are scattered with bracelet vendors, and they could have just said no. Q: How did you sell them [Jorge and Joaquin] on the idea? GT: We kind of just complimented them on how amazing their work was and said, "Would you guys be interested in selling 400?" And they had like 10 in from of them and they were like, "We can’t make 400." We were like, "What if we give you money for it and we come back in a couple days?" So we gave them half the money; came back a couple days later; gave them the other half and brought back 400 bracelets with us. We put them in a couple boutiques and made a website, blasted all of our friends on Facebook and then it kind of took off. Q: When you first started out, was there a best-seller or a certain style? GT: Our original style, which is what we first started with: a $5 one. I mean, there is one called "Beach Life" that is our best seller and we don’t know if it’s the name or the color, but we don’t want to really analyze it. We just let it be. It’s beige, brown and blue. Besides that, we started with a $5 bracelet, then added beads and said it’s worth $8 dollars; added silver beads and said it’s worth $12; added a braided one and said it’s worth $15, then added a charm and said it was worth $20 and slowly moved up the needle. So we can charge more, hire more people and then scale that way. Q: How efficient is it to make the bracelets? Do you make them here or are they distributed from Costa Rica to the U.S.? GT: They are made in Costa Rica by 100-plus artisans, so the labor costs are cheaper there, which gives us a competitive advantage over making them in the U.S. But also, the reason why they are made there is because when me and Paul went to Costa Rica we met them there. Our business model was not to meet them and move them out there; it was to empower them in their country and recruit their friends and family to work for them. Q: What does a typical day in the office look like during a creative content meeting? GT: Here, we have meetings with our graphic designer and our product designer and our sales team and come up with concepts. We go over our email marketing calendar, which we email three times a week to about 5,000 people, and those emails are basically a reference to our sales schedule, our new products schedule and any type of content: blog schedule, funders of Pura Vida, become a rep – there’s different types of call to actions with each one of those emails. Q: What would you say is the biggest obstacle that you guys have had to overcome over the years with your company? GT: I would say maintaining growth at scale. It’s one point to run a business that’s with your friends. You get orders and you pack ‘em, you get orders and you pack ‘em, but when you put in all of these systems that are meant to take the business to the next level, you know, like a fulfillment center, which is run out of our office now by like seven people, full time, with conveyor belts that kind of move product through a wheel and then they go into a bin and then they’re scanned. There’s a lot of logistics. So when someone orders on our website, it goes through like 10 loops to get to them. Going from that to a level at scale where on Black Friday we did 40,000 orders in a weekend. Each order has like four bracelets in them, so that’s 160,000 bracelets for them to physically touch and put in an envelope; print out a label; seal it; put in a sticker and a card, and a lot of logistics goes into that. If we weren’t set up for that, then we couldn’t grow our business.